Do you live in UK or surrounding area and looking to hire man and van in UK or looking for a House Removals company in London who can come pack and move all your goods to new home? We at UK MOVER are the House Removals in London specialist, we can do all small and large home removals to office removals including packing service as well as provide you packing materials at the same time. We can provide man and van service London, Uk and surrounding area. Our man and van team are friendly and very help full who love to help customers. Our removals vans are clean and tidy, comes with removals blankets to use free of charge and to protect customer goods while transporting, All our removals vans and truck comes with tolls to use on the day, we can provide you a small van to large lorry for any kind of home removals, flat removals, man and van, office removals, single item move, Wearhouse removals, eBay delivery, sofa removals. Excellent service from UK Movers. Moving from a house to a smaller bungalow meant lots of possessions to get into a smaller property with some access issues. Especially impressive was the time and patience given to bringing a very large fridge freezer through quite a small doorway. Thank you. I would definitely use this company again. We have used the team UK Movers a number of times over the past few years and have found them fantastic - always professional and great service. They arrive on time (actually, they arrive early!) and are diligent the entire duration of the move. No sitting around, just careful, solid, well thought-out work.Their van packing is also the best I've ever seen!... I have moved with many companies in the past, but since finding UK Movers, I will never go elsewhere. After 4 major moves in 6 years UK Movers proved by far the most efficient, friendly, hard-working and professional that I have ever used. Arriving on time they started to pack and where necessary disassemble some furniture with obvious experience. We spent a long time looking for a company prepared to take on our move from Middlesex to Scotland. UK Movers were outstanding at every stage from intial quote through to the final removal. Nothing was too much trouble and the move was handled with courtesy and professionalism. I would highly recommend them. 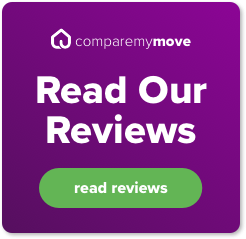 UK Movers are a specialist moving company that deal with all UK & European Moves, Packing & Unpacking, Cleaning and Furniture Dismantling & Reassembling Services.